What is a Integrative Wellness Coaching? Approaching your life holistically, Integrative Wellness Coaching guides you to make positive and lasting changes to all levels of your being: both emotionally, physically, spiritually and environmentally. You are guided to create a clear vision for your optimal wellbeing, developing a healthy mindset and healthy habits. You are encouraged every step of the way until your goals are accomplished. Integrative Wellness Coaching sessions are 90 minutes in duration and each session is unique depending on what the individual requires. 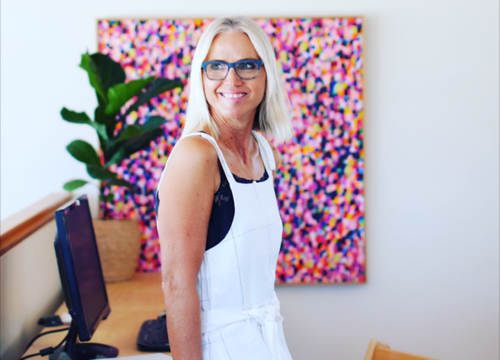 Cate Young is a certified health coach, award winning designer and successful entrepreneur. Cate will help you design the life you want, find clarity amongst the chaos, and bring your big visions to life with ease. Amongst the busyness of everyday life, we can become out of alignment with our true nature. Do you feel frustrated and confused - like your goals are out of reach? Or perhaps you simply have a nagging feeling that there is something not quite right, but you can’t put your finger on it. You have a unique blueprint – your true essence – and when you are in alignment with this the possibilities are endless. My unique coaching and proven design process will help you reconnect with your essence and design a life in alignment with your unique blueprint, bringing even the grandest of visions to life. Add to this the right dose of accountability and guidance, enabling you to reach your full potential. "I never thought a few sessions of coaching could shift my life and business into such a positive direction. I found Cate’s sessions wise, insightful, creative and practical, I now have a clear vision for my path forward. Thank you so much Cate! Watch this space." "I was blown away by Cate's Blueprint Process. Cate showed me how to integrate my Soul Connection into my business. I am so excited taking my business to the next level. Have a session with Cate and see for yourself. It is hard to describe the magic she creates in her sessions." "Cate is a truly creative and insightful soul seeker. A great companion and way finder for anyone looking to take their next steps in life. Her Blueprint process forms the perfect foundation to move through the mucky stuff that can stick around. Thanks Cate, I’m feeling unstuck and on a brave new path towards being an illustrator." "I attended one of Cate’s workshops at Zenko Yoga in December and I am grateful for the clear and nurturing space that she holds. The guided meditation was very profound for me. It took me into a space where I was able to see more clearly for me and to be able to take action steps forward on my path. Highly recommend Cate and her offerings . Thank you!"